As Founder and Director, Erik focuses on overall leadership of DiscoveryBioMed, Inc. As CSO, he serves as the principal science consultant in client work and in managing the company’s research and development. 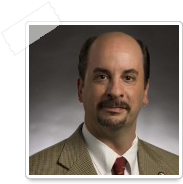 He brings several years of experience as a researcher in cell physiology and pathophysiology. He has focused on receptors and ion channels in human epithelial cells that regulate ion transport and that are pertinent to therapeutics for cystic fibrosis, polycystic kidney disease, and diabetes mellitus. He currently focuses his scientific efforts as an applied discovery scientist, applying his cell physiology and pathophysiology training to DBM programs. He was previously an Associate Professor with tenure at the University of Alabama at Birmingham. Prior to that, Erik was a postdoctoral fellow at the Johns Hopkins University School of Medicine. His education includes a Ph.D. in Physiology from Dartmouth College and a B.A. in Biology from Grinnell College. Erik is originally from Princeton, NJ. Erik has directed and taught in an entrepreneurship course called “Idea to IPO” at UAB each fall for the past 4 years.